Two MSc theses to be presented on June 7, 2018. 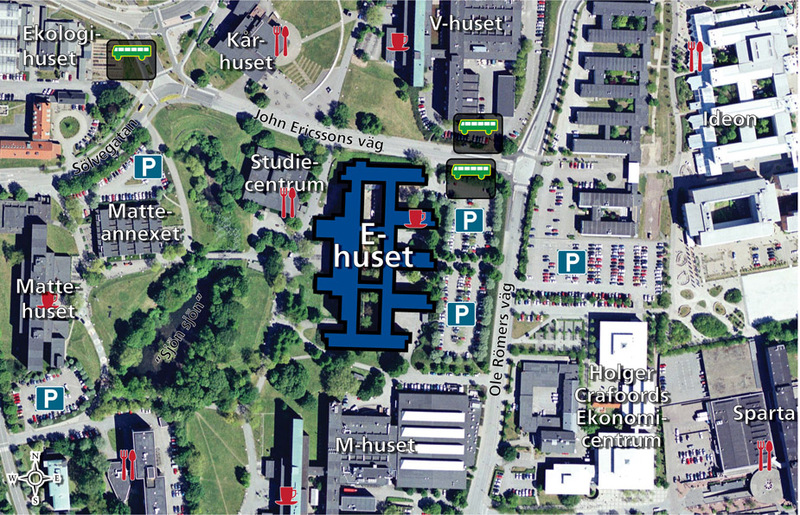 June 7 is an extra day for master thesis presentations in Computer Science at Lund University, Faculty of Engineering. Two MSc theses will be presented. The presentations will take place in the E-house, rooms E:2116 and E:2405. A preliminary schedule follows. Note to potential opponents: Register as opponent to the presentation of your choice by sending an email to the examiner for that presentation (firstname.lastname@cs.lth.se). Do not forget to specify the presentation you register for! Note that the number of opponents may be limited (often to two), so you might be forced to choose another presentation if you register too late. Registrations are individual, just as the oppositions are! More instructions are found on this page. Context: The Cloud has significantly reduced the time it takes to get feedback from customers in software development. However, running an application in an Infrastructure as a Service such as Amazon AWS still requires significant skills and resources. Aim: In this thesis, an investigation into the possibilities of using a Platform as a Service is done. Method: With the help of interviews it is concluded why an innovation platform is attractive to Axis and what the drivers are for Axis to create it. A prototype in the form of an innovation platform is developed, which can be used by developers both at Axis and Axis’ partners to develop applications and quickly get feedback. With the help of a focus group, the platform is evaluated on several metrics. The response from the focus group is then evaluated and analyzed to measure its relevance for Axis. Results: The participants of the focus group were very positive to the easy deployment enabled by the use of a Platform as a Service (PaaS). A majority of the focus group agreed to the statement that the development of the platform should continue, but were neutral to the idea of having it open source. Conclusion: The developed prototype illustrated the concept of an innovation platform well and the participants of both the interviews and the focus group agreed that an innovation platform could bring value to Axis. ABSTRACT Bug prediction is a research area of great interest to software development. Done at the level of commits it has the potential to improve the efficiency of code reviews. However, the progress of adapting bug prediction in prac- tice and furthering research is hampered by lack of available open source im- plementations of existing work. In this study we have provided several such implementations. These include the SZZ algorithm, Online Change Classi- fication and feature mining scripts. We applied our implementations to the Jenkins core repository and trained a machine learning model on the resulting dataset. The model achieved a precision score between 0-4% depending on sampling and validation techniques. However, with the infrastructure of our implementations in place we expect to see future improvements.